Sony claims that PlayStation Suite will offer "legendary original PlayStation content" and says it will be a "cross platform, cross device" PSOne emulator. In reality, it's limited to Android 2.3 and beyond - a version of Android only one currently available handset runs (and it's not Sony's own Xperia X10). Still, PS Suite does look intriguing, especially when you consider Sony's "PlayStation Certified" program for hardware manufacturers, which will, supposedly, ensure a high-quality gaming experience. PS Suite is coming "within this calendar year," along with the PlayStation Store, which is where the PSOne games will be downloaded from. Things might get even more interesting down the road - Sony mentions that PlayStation Suite "will provide a new game development environment." Quality Android game store, anybody? 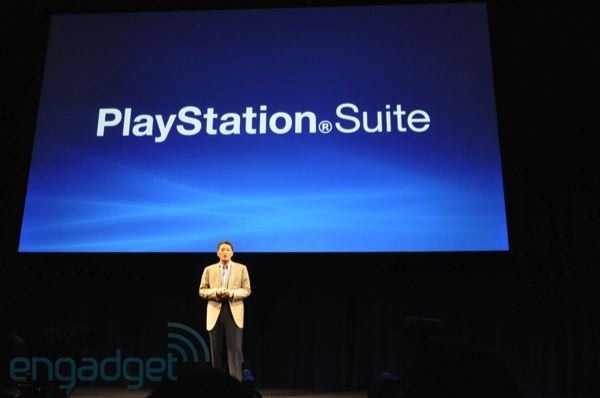 Tokyo, January 27, 2011– Sony Computer Entertainment Inc. (SCE) today unveiled "PlayStation®Suite" (PS Suite), delivering the PlayStation® experience to Android™ based portable devices*1. Through this entirely new initiative, users will be able to enjoy PlayStation content on an open operating system for the first time in PlayStation history. In the dramatically evolving and diversifying mobile market, the number of users who enjoy games casually on a variety of devices including mobile phones, smart-phones and tablet PCs, has been increasing significantly. By offering "PlayStation quality" content to this rapidly growing market, SCE will not only deliver the PlayStation experience to a wider base of users around the globe, but will also be able to offer game developers and publishers the potential to further expand their business opportunities to these devices. In providing the PlayStation experience on Android based portable devices, SCE will commence a "PlayStation®Certified" license program for hardware manufacturers. Through this program, SCE will offer necessary support, including development support as well as logo licensing, to ensure the delivery of PlayStation quality experience across various devices. On the software front, SCE plans to provide PS Suite content within this calendar year, starting with original PlayStation games*2 (PS one® classics) that will allow users to enjoy "PlayStation quality" gameplay on their Android based portable devices. SCE also plans to open PlayStation®Store where users will be able to download content in an easy to use environment, directly via the Android based portable devices. Moreover, SCE will provide a new game development environment in an effort to ensure new and compelling content is delivered on PS Suite, which will also offer opportunities for a wider base of developers and publishers to further expand their business on various portable devices.